Dean Ambrose currently works for World Wrestling Entertainment. Dean Ambrose, Roman Reigns & Seth Rollins were joined together to create one of the best teams in the wrestling industry today, The Shield. He was a part of NXT before being put on the WWE roster & has made a name for himself in the wrestling industry. He is one truly to watch out for in the future. 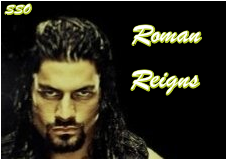 Roman Reigns currently works for World Wrestling Entertainment. Dean Ambrose, Roman Reigns & Seth Rollins were joined together to create one of the best teams in the wrestling industry today, The Shield. He was a part of FCW & NXT before being put on the WWE roster. He was a former football player for Georgia Tech Yellow Jackets, Minnesota Vikings, Jacksonville Jaguars & the Edmonton Eskimos. He will be a tremendous asset & a great competitor in WWE. Seth Rollins currently works for World Wrestling Entertainment. Dean Ambrose, Roman Reigns & Seth Rollins were joined together to create one of the best teams in the wrestling industry today, The Shield. He has been a part of FCW, NXT, ROH, PWG & several other wrestling organizations over the years. He is also an ex FCW & NXT Champion. 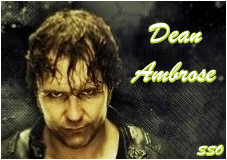 He will be a wonderful addition for the WWE roster & one of the most talented Superstars in their industry. Shield Source Org is not affiliated with Dean Ambrose, Roman Reigns, Seth Rollins or World Wrestling Entertainment. This is strictly a website dedicated to them & nothing more. All images/media on this website content are copyrighted to any original owners & used under the Fair Copyright Law 107, no copyright infringement intended. All original graphics/HTML content are © Shield Source Org. If you use any content/images/media taken from this site, please credit us.